Many people complain that there’s a lack of formal financial literacy education in schools and at home. And yet, no one says exactly what the right money curriculum looks like. If you want to learn about money, you’re going to have to do it yourself. Thankfully, there are some great books to help you on your way. The sphere of at-home education is continuously growing. Even better, the best writers can enlighten and entertain simultaneously. The truth is you can learn some of the most effective personal finance tips within the comfort of your own home. And the best part? With the right book, learning how to manage your money can actually be enjoyable! 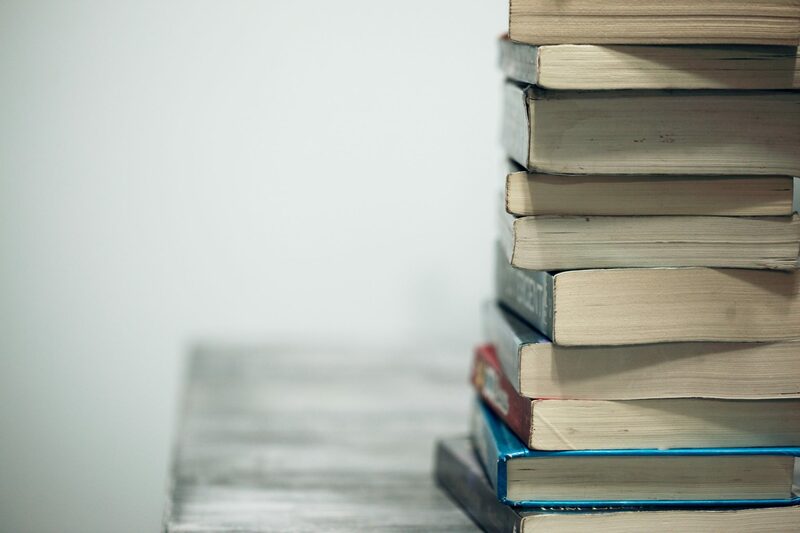 Here are some of my favourite personal finance books to read this year! 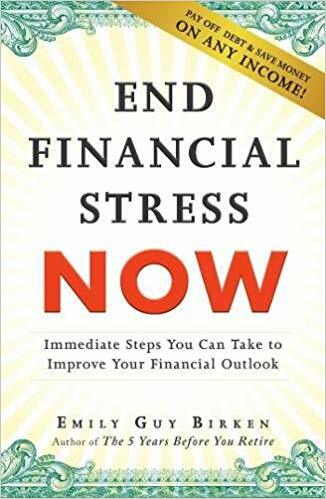 Melissa Leong has been contributing fantastic work to the world of personal finance for years, and this book is no different. Leong expertly balances the intensity of financial responsibility with the utter joy of life. She drills in the fact that money does not equal happiness. Of course, money can’t hurt either. Enter: Leong’s frank and hilarious expertise on spending, budgeting, and investing. Her humour keeps content easy-to-understand and fun to read, making this the ideal starters guide! Even for those more well-versed in the world of personal finance, Leong’s interweaving of psychology and mindfulness keeps your full attention from cover to cover. I found myself caught up in the pages as Leong recounts her journey as a career woman, a mother, and her encounters with mental health and its relationship to personal finance. She puts forward a reassuring narrative that is sure to uplift anyone who reads it! This book is included in the post The Best Books to Gift a New Grad, but it’s worth repeating here. This writing style is one of my all time favourites when it comes to personal finance literature. We all know finances can be dry, but Fagan and Ver Hage take every step to combat this. Diagrams, colours, and beautiful formatting make it fun to read, not to mention the array of advice! Sections are dedicated to multiple different finance experts (including Bridget on page 32! ), giving them the platform to share their most effective tips for those of us just starting on our personal finance journey. 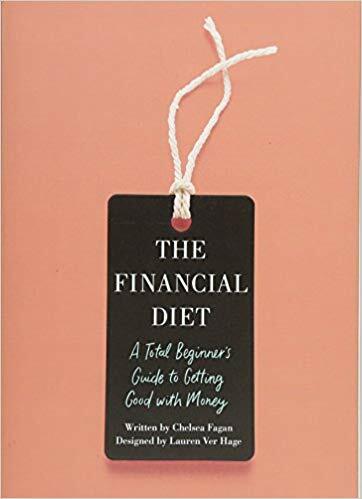 The Financial Diet approaches the relationship money has within each category of one’s life, from cooking to your love-life, as well as outlining the basics on budgeting and investing. The changing of medium and narrator keeps readers on their toes through to the end. This is the very first personal finance book I read, and it’s truly perfect for beginners! This is a perfect book for those hoping to develop their investment skills! 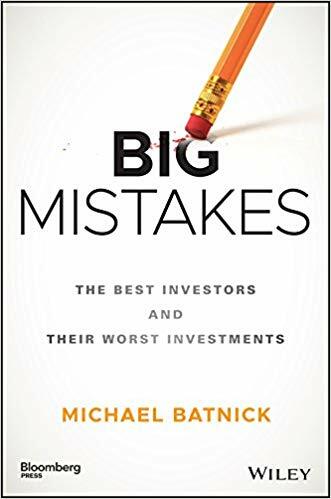 Batnick makes learning from others’ mistakes easy by compiling the biggest career losses of some of the most well-known investors. Readers are reminded that investing is a game in which you are bound to lose at some point! Batnick explains the downfalls of Warren Buffett, Bill Ackman, John Maynard Keynes, and many more to prove that even the best aren’t immune to failure. Beyond mere reassurance, the reader is also able to take lessons learned and apply them to their own investment portfolio. Each of the examples are interweaved with expertise on how to approach investment risks in the smartest way, how to anticipate and avoid losses, and how to power through failure without losing too much ground. Batnick reiterates that you can’t invest without risk, but there’s a strategy in using those risks to your financial advantage. As a history geek, this was actually really interesting for me. Plus, the fairly easy-to-read format is fantastic for amateur investors! 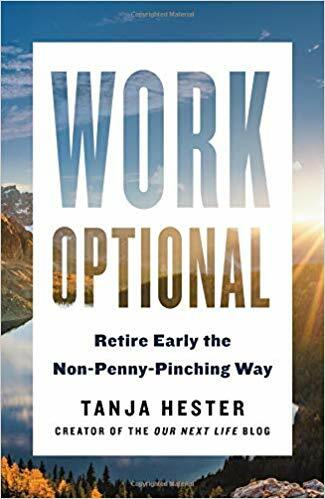 Tanja Hester retired from her high-stress career at the early age of 38, resigning to peaceful Lake Tahoe with her husband. After years of planning (and a healthy dose of hoping), Hester was able to settle into a life in which her time was her own to manage. Although she still adheres to the value of work as a “good and noble thing”, it shouldn’t dictate your happiness. After years of her popular blog Our Next Life, Hester’s finally compiled everything she’s learned into one book! Readers are walked through the process of envisioning their ideal work-life balance, leading into an early retirement, and then given efficient strategies on how to achieve exactly that. Hester relays her experience with “magic money” (AKA investments and/or passive income), vivifying their importance in setting up a meaningful early retirement while simultaneously planning for any future unknowns. One of my favourite parts about this book is how Tanja’s personality bleeds through the page — especially when digging into the loneliness that retiring ahead of your peers can bring. Such a huge life-adjustment can be challenging, and Hester conveys the importance of maintaining your own little coterie. Her enlightening narrative will leave you empowered, hopeful, and well-equipped for a model retirement! Cary Siegel graduated with an MBA from the University of Chicago and went on to retire at 45, so he clearly has some wisdom to share. Siegel watched his own kids move through school only to realize they had been betrayed by the shortcomings of the education system. So, of course, he wrote a novel. Siegel outlines 99 basic steps to follow when it comes to money management basics. Although intended for a younger audience, the advice given is valuable to anyone’s life (and a great grad gift!). The content is quickly and succinctly relayed in an easy-to-understand style, making it a fast read and great for beginners. Although he keeps it simple, Siegel covers strategies and principles that you probably haven’t seen before. It’s the complete beginners guide! 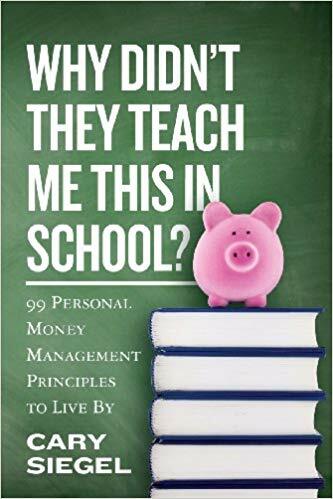 This book destroys personal finance stereotypes right off the bat! Emily Guy Birken stresses that you’re actual bank balance has very little to do with your personal relationship with money. She reminds us how money causes stress with each fluctuation and is a root cause of stress in many people’s lives. This book reminded me of Jen Sincero’s recent success You Are a Badass at Making Money in the best possible ways. Both enforce the idea that your mindset and personal relationship with money is where financial success begins. Guy Birken focuses on learning to find peace with your financial journey, rather than simply driving yourself crazy with the numbers. The fact of the matter is that being worried about your finances isn’t going to change anything. This book is fantastic in helping us busy our minds only with things within our control. After all, allowing our sanity to rot away won’t help anyone! Sometimes it’s a well-needed change of pace to forget the numbers and reflect on your processes. And now a final recommendation for those a little more experienced in investing. Like Batnick’s Big Mistakes, this book focuses on how to avoid and cover the inevitable loss of earnings in the market. 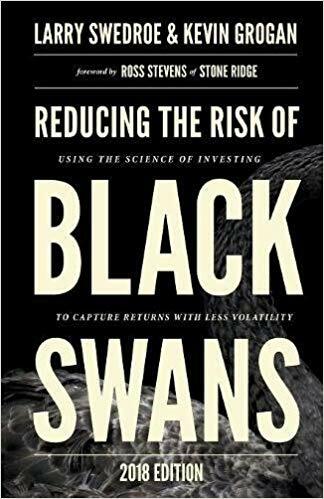 A black swan is a term used to refer to massive, unexpected events that cause a significant downturn in the market. Common examples are the terrorist attacks on September 11, 2001, or the sinking of the titanic. Swedroe and Grogan are experts on the term, each publishing novels in the past. In this expanded and revised edition, the two authors outline strategies in balancing risk and returns in one’s investment portfolio. They’re able to reiterate their outdated theories with recent examples, while also explaining how the investment sphere is rapidly evolving. Readers are exposed to recent advancements, specifically considering factor and evidence based investment purchases and brand new access to sources of risk and return previously only accessible by cooperate and financial institutions. We see the possibility of incorporating strategies that have been proven to work while also taking advantage of the recent developments in the industry. Some investing experience is probably a good pre-req for this read. But no matter your portfolio, this guide is the perfect opportunity to refine it! Regardless of your progress in your own personal finances, there’s a book out there to motivate and educate you along your journey! Each author on this list has years of experience. It’s always best to try to learn from his or her mistakes rather than making your own! Previous ArticleIntroducing KOHO Joint Accounts! 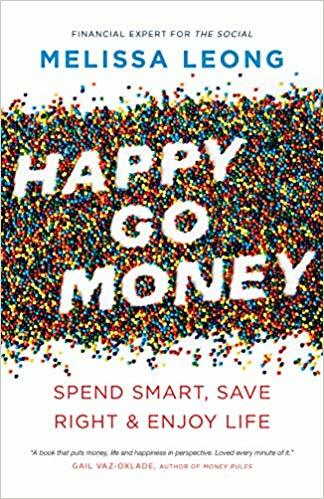 I have been looking for some new personal finance books to read as we move further into 2019. Other than Work Optional, most of these are brand new to me! I really appreciate the research put in here and I like your brief and to the point descriptions. Good selection!